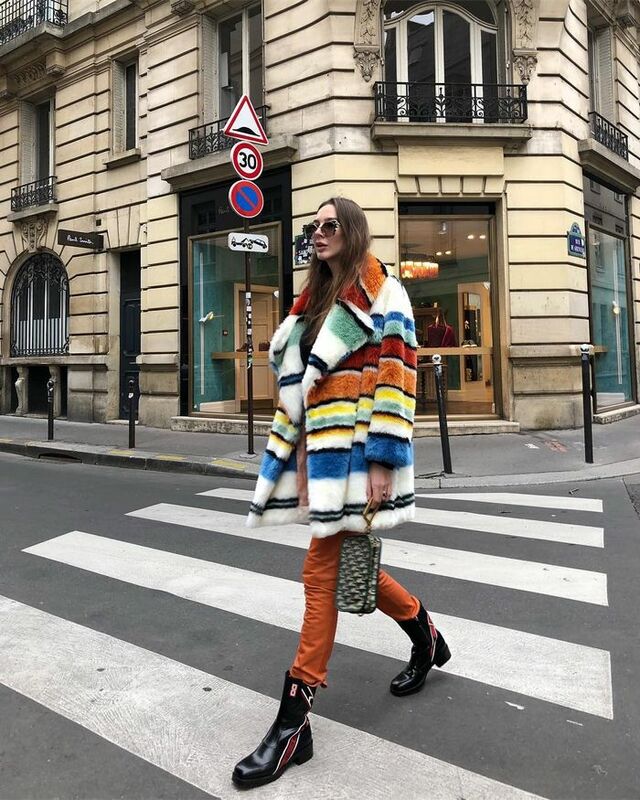 In order to get a pulse on the fashion scene and what we’ll be seeing on the streets of Paris 2019, I chatted with some of the most stylish French women to come across my Instagram feed. Curious to find out the pieces they’ll be adding to their closets in the next few months, I asked them: What are the fashion trends we’ll see French girls wearing in the New Year? And, more importantly, which trends will they be skipping? Ahead, I’m chatting with rising French fashion girls Estelle Chemouny Pigault, Neïla Romeyssa, and Sarah Nait, who are weighing in on the fashion trends for spring 2019. Each of them has a unique take on French fashion, and I expect to see much more of them next year. Scroll on to find out the three major trends you won’t spot them wearing, and then shop for the items they’re adding to their shopping carts now. "I'm skipping beige and neutral colors. I have seen it again and again for the past few seasons, and I am so over it. If you look at my Instagram, you can tell I am not really into neutrals shades but more of a rainbow girl!" "This has to be my number one trend. I have always loved mixing prints, since I was a child—people always called me crazy, but it's always been my thing. I was obsessed with Versace prints this season. Can I be Shalom Harlow in that campaign video?" "Finally! The laid-back style is on trend! Yeah! I grew up in the South of France skateboarding and have always been obsessed with fashion, so my tomboy-meets–Cher Horowitz style since I was a teenager has not really changed. When I saw the Calvin Klein and Chloé S/S 19 shows, I felt like I could wear every single piece, and I am so excited about summer 2019!" "I am obsessed with feathers, and I believe that it is something you can wear on a daily basis! I am not a typical Parisian, and I do not believe in less is more, so the colorful feathers trend makes me very happy!" "We saw fashion shows with some 'cowgirl's styles' that were very beautiful, but fringe doesn't fit with my style and my universe, so I don’t intend to wear them." "The vintage long jacket is my favorite piece ever because it can really match with everything, and it can be the centerpiece of the whole look." "I'm in love with plaid, and I think that I'll wear many 'tile' items in 2019. Bags, trousers, shoes, jackets—everything can match even if the patterns are not similar." "Even though we should never say never, I don't think that I would be wearing the neon athleisure trend next season." "I will definitely be wearing leopard, especially on swimwear. It can be very glamorous and retro, as seen on Saint Laurent's runway." "I have always been fascinated by 1920s workwear-inspired tailoring. A boilersuit can give that utilitarian aesthetic without trying too hard, and it's making a big return in 2019." Big bags are about to be everywhere. But also cool structured styles. Utility pants are the trend I'm 100% on board with. Same goes for strappy "floss" heels. Get ready for the next iteration of logo shoes. California cool in a sweater.